The Titleist Pro V1x is one of the softest and longest golf balls used in game today. They possess a large solid core with a urethane elastothane cover which allows the ball to generate high levels of spin around the greens. The balls represent one of the best value ways to purchase tour balls and play like the Pro's! If you are looking for long drives with lower trajectory whilst maintaining that soft green side feel than these balls are a must to try. You come to expect excellent product and service every time and they never fail! Balls in great condition , most brand new , my guess , over production against specific orders. Lightening fast delivery , they get them here faster than I can loose them. Very good pricing. Service was good the refurbished pro v1x looked good but sounded funny and were one club in distance shorter than normal. Got a great deal on AAAAA prov1x balls. Less than $2 each. They look brand new and delivery was less than 3 days. Prompt service. Got the balls out to me very quickly and they all look the business. 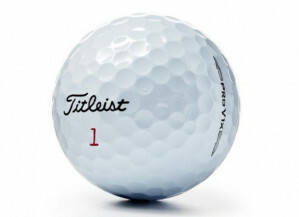 I love the fast service and the quality of balls is excellent. Regular emails letting me know about specials is something i look forward to.